LeBron James made his debut as a podcast guest on Wednesday, and some of his comments have already been twisted. In James' interview on "Open Run" with Jesse Williams and Stefan Marolachakis, the Cleveland Cavaliers superstar fielded a question about his road to the 2016 NBA championship: After coming back from a 3-1 deficit against the 73-win Golden State Warriors, would James have rather won it a different, less stressful way? James answered by essentially saying that he was destined to have to win it in those ridiculous circumstances. Then he went on a tangent about fans forgetting that Michael Jordan's teammates contributed to the Chicago Bulls' championships in the 90s. "I just think it's my path," James said. "All the other greats and things that they've been through, I don't think M.J. ever had a Game 7 in the Finals. And people say well he was able to close it out early. They act like he just did it all on his own and things of that nature. They forget the shot by [John] Paxson on the left wing. You want to know the crazy thing? In that game, in that particular game in Phoenix, M.J. didn't even have the ball in his hands. [Scottie] Pippen brought the ball up, [Charles] Barkley went for the steal, Pippen threw it down to Horace Grant and ... because Barkley went for the gamble, they rotated to Horace Grant and Horace Grant threw it to Paxson. M.J. had nothing to do with that play. "It's just my path," James continued. "It's who I am. I take the hard way. Just don't give me a 3-0 deficit." Since the podcast was published, this quote has been presented as if James was taking a shot at Jordan, arguing that the Hall of Famer gets too much credit for Chicago's success. It would be completely unlike him, though, to diminish Jordan's accomplishments. In a recent story by Sports Illustrated's Lee Jenkins, James revealed that he is motivated by chasing Jordan's ghost. He has repeatedly said that it's an honor to simply be mentioned in the same category as Jordan. If you listened to the whole podcast, you probably didn't get the sense that James was criticizing Jordan. If anything, he was addressing his own critics. 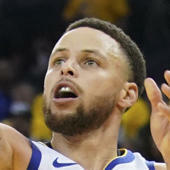 Over the course of his career, James has been attacked for making proper basketball decisions in late-game situations rather than playing hero ball. He has been condemned for teaming up with other stars. James does not often directly respond to this kind of thing, but every once in a while he likes to show that he's aware of the history of the game and where he fits. Here, he's trying to show that nobody, not even the best player in NBA history, has won a title alone. Also in the podcast, James said he hasn't fully taken in how special it was to win Game 7 the way that the Cavaliers did. He has not yet watched the documentary Believeland with its new ending. It is clear, though, that he's extremely proud of not just the fact that he brought Cleveland a title, but that he did so against all odds, back from a seemingly insurmountable deficit while battling one of the greatest teams the league has ever seen. James is aware that Jordan never did that. Given that he wants to be known as the greatest of all-time someday, he would surely like to continue doing things that Jordan has not done. It seems fairly obvious that James was once again speaking up for team basketball. If we're talking about credit, he likely thinks that Jordan's teammates should receive more of it, not that Jordan should receive less.